People — Wanderer, the blog. Jessica Ilalaole and I met a few years ago when she and her now fiance were passing through Taos on a road trip. We chatted a bit about our businesses and eventually Wanderer started carrying her stunningly beautiful, handmade jewelry. There is something truly unique about her designs. I noticed customers pausing at her pieces as they perused my shelves, and they just seemed to fly right off of them. Her ever popular point rings and hoop earrings were especially a hit. What I really loved was her process when working with her. She’d ask me what I wanted to carry, come up with some sketches and show me her raw drawings, and I’d give them the green light. It’s a very organic way of creating an order with an artist, and really pins down the definition of handmade for me. I have to be patient when I wait for my order, because she is crafting each piece by hand, from pencil to ring, sketch to stone. Jessica and Cody made a huge move this year. 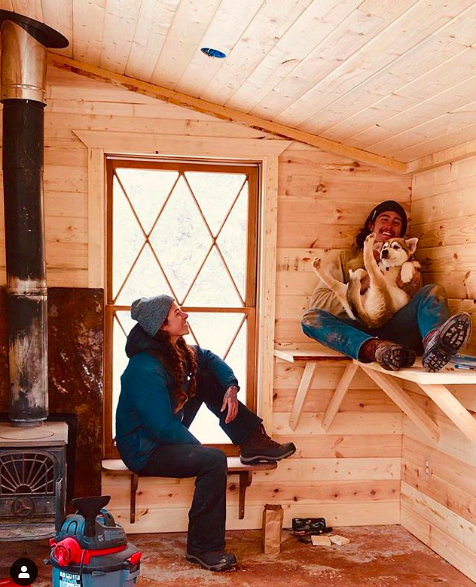 They packed up from their cabin in Northern California to an off-the-grid spot in Taos, New Mexico - two places I’ve also called home before. 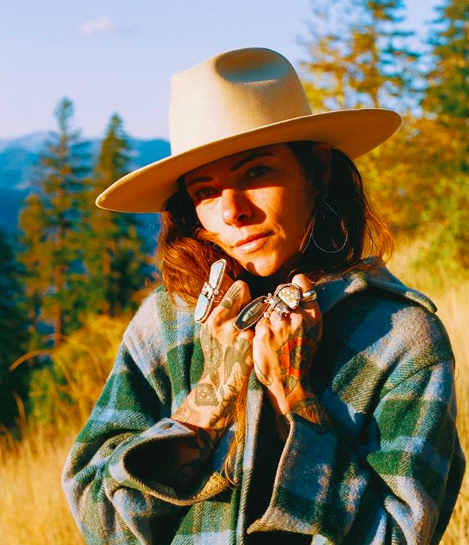 I asked Jessica to answer a few questions for me so you all can get to know this talented artist a little more. Her answers are from the heart, and gave me a bit of a homesick feeling for those mountains. Take a moment to enjoy this interview and feel inspired too! You've recently made some big life changes! A new state, new workshop, new dog...what else do you see for yourself and CobraCult in 2019? Big changes for sure! We just got our second puppy just a few days ago, so that’s already happened. In California I worked with a wild animal rescue and I'd like to pick that up here in NM. There's a raptor center an hour away that I'd love to get involved with. I have dreams of becoming a wildlife rehabber one day, so that's a good way to learn. We plan on adding more animals to our homestead. First some piglets and chickens, then down the road some goats and eventually a mule and horse or two. I'd love to do more mulepacking and backcountry horse adventures in the future. Other things would be more backpacking, exploring New Mexico and taking the dogs on some epic adventures. All of these activities influence CobraCult and give me inspiration. As far as business stuff, I'll just keep making people’s favorites, like the hoops earrings and point rings, but I'll inevitably be influenced by my new surroundings and I'm sure my jewelry will reflect that. I've also started some folk art projects that will be available soon. What made you move to Taos as your next home? 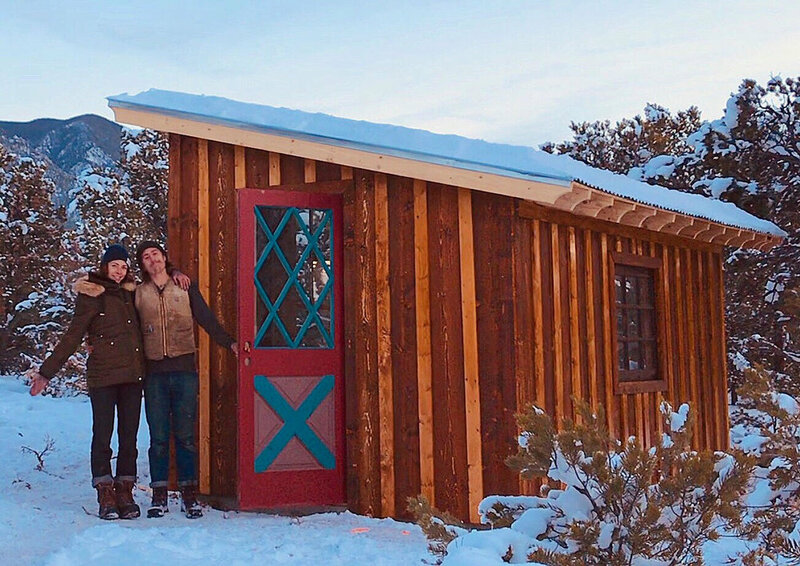 My partner introduced me to several friends here in Taos and I really liked them so we visited a few times and each time I fell in love with the place more. The people here are amazing! The landscape is beautiful and vast and I thought to myself "I could live here". The process of buying our land was very organic. We purchased it from our friend’s dad in a moment of inspiration. I never thought I would leave the west coast until we bought our property and then the urge to move on to our land grew until we started to make serious plans to leave California. I still think about the mountains back there in Northern California every day, but not in a sad way. I will always go back to them to visit. I love all mountains and now we live right under a new bunch and I can’t wait for the snow to melt so I can explore them through backpacking. There are many lakes we can hike to from our property and I feel them calling. Do you draw different inspiration from Taos than from Hayfork? Our land is just north of Taos, it's rugged, it's quiet, it's cold and there are wild animal tracks all over our property. Hayfork was a beautiful location to live and work, but our new home and my new workshop is much more rural than the one back in Norcal. I honestly think I will do my best work here in NM. I have a huge windows that looks up to the mountains and I can hear coyotes at night. I can be inspired to work at any time of the day or night. I'm still drawing inspiration from nature, it's just that the animals, climate and trees are different. The area around Taos has a lot more art and culture than in Hayfork. That New Mexican flavor!! You said on your Instagram that you're currently building your dream workshop. Tell us what exactly makes this workshop the ultimate silversmith's dream? Windows, lots of windows! You can't beat natural light and my fiance made sure I'd have a lot!. To be clear, Cody, my fiance, built most of the workshop himself and I helped. We both love cabins, so we strived to make it as cabin like as possible. All wood paneling inside with a beautiful vintage wood burning stove. I plan on painting some folk art on the rafters to personalize the outside. The inside will have built in work benches so I can have stations for each of the processes I go through to make jewelry. I just want it to be an intuitive space, that's beautiful and very organized. I can truly settle in because this is my forever workshop on our own land which feels so different than renting a place. We also plan on having a shelf near the ceiling for all of my books and a little ladder for me to get to them. My goal is to keep it as clean and organized as possible. At this point in your career, do you find yourself creating new designs or have you found what works best and stick with that? I do both. I have my staple pieces that I love to make that also sell really well. If I don't like making something, I won't make it just because it sells. That’s no fun for me and I can’t put my heart into something I don't like myself. Luckily some of my best sellers are the most fun! These would be the stud hoop earrings, bird earrings, bird necklaces and point rings. I think I will always make those, but I absolutely love making new designs too. Creating new designs is the heart of it all for me. I tend to just go back and forth. Make a bunch of new things then pepper in some classics. It's a happy balance for me as an artist. 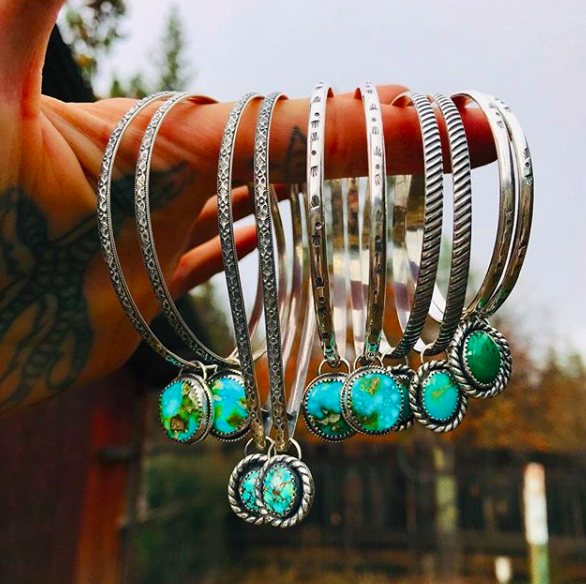 Now that you're in New Mexico, have you visited some of the jewelry maker's resources and shops, or found inspiration from some of the other incredible designers out there? I plan to, but I had to hit the ground running as far as building on our homestead. We have spent most days working on our property. The sooner my shop is complete, the sooner I can get back to work. Hopefully we will be done by the first week of February. Once I'm back at my jeweler’s bench I'll be able to explore the resources available here. I have made contact and become friends with several other jewelers and artists who I love and admire, a few I haven't met yet in person because I've been so busy on our land. Some lovely ladies including, Two Quills, Three Arrows Leather, Yote Jewelry, Chloe Marie Gaillard Burk. I just started embroidering, just for fun and Chloe has been giving me some pointers. She's an amazing artist. I have an artist community here that I didn't have back in Hayfork. I spent most of my time alone when I worked in Norcal. That's another reason I love NM! So many amazing artists! I hope to find a class or elder artist who I might be able to learn from. Jewelry is such a forever learning experience. Compared to old timers, I know nothing and I have so much respect for jewelers who have been working on this craft well before I started. I would always like to learn more. What I'm doing is hard and the move has definitely disrupted my workflow, however I'm more inspired to work and create than ever! I'm so humbled by the welcome I've received here in NM. The people here are kind while the land is rugged. The best combo really! I'd just like to emphasize how grateful I am to be in this new place and to live and work on such a beautiful piece of land. It really is enchanting here! Follow Jessica on Instagram right here, and shop her website here. Chelsea Craft is the maker, crafter, and designer behind our favorite Fort Worth embroidery brands, Craft Made. 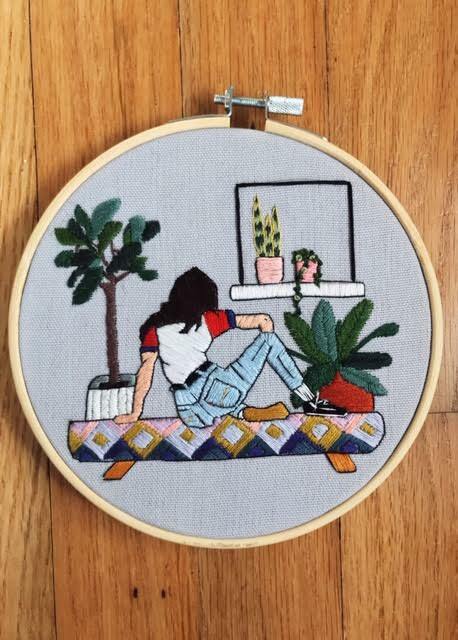 She expertly combines color and imagery in the simplest of ways, needle and thread, yet manages to wow our eyes with each piece she creates. Here is a quick interview with her by one of our Ambassadors, Madison Salazar. What Made you want to begin Embroidery? Do you consider yourself an artsy person? Do you want to continue doing this forever, or do you have other plans? “Yes. Its my favorite hobby and I love making people happy with my designs. Will you ever consider adding other crafts to your shop? Do you consider this your "passion'? What is your favorite part about our lovely city, Fort Worth?